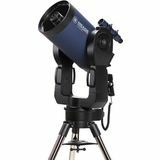 This 6" f/10 (1524mm focal length) powerhouse telescope is feature packed. Meade's patented automatic self alignment system aligns with just one touch of the power switch. Just flip the switch and walk away. It aligns itself. It's that simple. 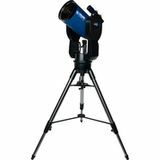 This 14" LX200-ACF has 14" diameter f/10 ACF optics (focal length 3556mm) and Ultra-High Transmission Coatings (UHTC) for maximum image brightness and contrast. Includes Giant Field Tripod. 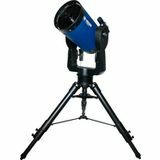 This 12" LX200-ACF has 12" diameter f/10 ACF optics (focal length 3048mm) and Ultra-High Transmission Coatings (UHTC) for maximum image brightness and contrast. Includes Giant Field Tripod. 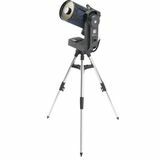 This 10" LX200-ACF has 10" diameter f/10 ACF optics (focal length 2500mm) and Ultra-High Transmission Coatings (UHTC) for maximum image brightness and contrast. Includes Standard Field Tripod. 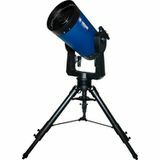 This 8" LX200-ACF has 8" diameter f/10 ACF optics (focal length 2000mm) and Ultra-High Transmission Coatings (UHTC) for maximum image brightness and contrast. 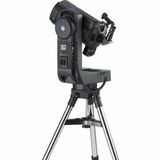 Includes Standard Field Tripod. 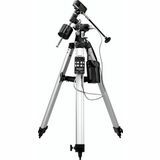 Orion has all the gear you need for your own astrophotography setup. Whether you're looking for the basics to take wide-angle pictures of the Milky Way, or gearing up to hunt for faint deep-space objects, Orion has it all.